considerable help for the trader to respect his trading plan by avoiding him large losses. max loss per day , per trade , instrument filtering , trading hours, pause , trailing profit .. Monitoring 40 Stochastic charts simultaneously, this software is designed to help the discretionary trader in the execution of his strategy. 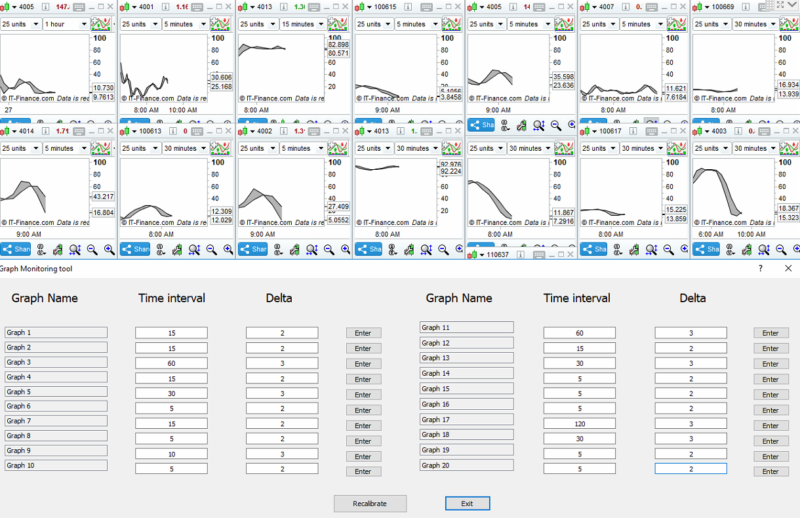 100% automated Trading Algorithm analyzing 18 currency pairs on multiple time frames with several technical indicators, including a progressive risk management module for maximal performance and reduced drawdown. Trading algorithm designed with the Multicharts Portofolio Trader instance, trading simultaneously 25 instruments, including currencies, commodities, indices and cryptocurrencies. Second project and everything was done on time and as I desired. Pleasure working with this agency and highly recommended.